by Jay Batista, General Manager North American Operations, Tedial S.L. Security concerns dominate the discussion of adoption of cloud infrastructure in the Broadcast, Media and Entertainment space. The picture of a petulant executive declaring “I am not putting my content in the cloud!” stops many technical managers from a true investigation of the benefits and drawbacks for extending operations into cloud services. Yet, there is no better time to investigate these services and work with these providers—they are in a burgeoning industry; seeking business models and partnerships within our industry can help these cloud service suppliers sharpen their price models and understand their value while providing services that can drive our growth and profitability. And due to their own market pressures, cloud service providers are ready to make a deal…so it’s time for you to consider what makes the most sense for your business. Leveraging cloud infrastructure is a challenge every broadcaster and media processing operation will face in the next few years. Adaptation to the ever expanding list of Over The Top (OTT) and Video On Demand (VOD) services by addressing the problem without additional labor is a key driver in designing and building a modern media factory. The clear advantage of cloud services is their ability to adapt ad hoc to new situations as they occur. A successful analysis of the requirements for your operation will enable you to provide timely guidance to your executive team. To be prepared, it’s time to do some homework. The first step to success is to build your infrastructure to leverage the cloud, now and in the future. 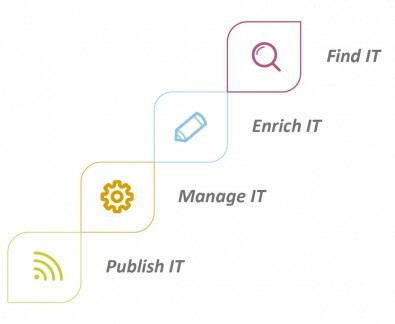 Consider your internal network as a design that must be “cloud ready,” and plan to make business decisions to leverage cloud infrastructure in the future—this first step requires that you think of your systems - Media Asset Management and workflow, back office systems and play-out, and distribution methods, - as gateways to cloud operations. Choose vendors with demonstrable cloud infrastructure experience and references that support the creation of flexible, scalable platforms that can be adjusted to support your changing requirements. To make a system “cloud ready,” analyze your media factory and understand where your operation adds value to the media and files passing through your system. Define points where assets could be serviced by cloud providers, whether it is temporary storage, archive extension, post-production services such as transcoding, international versioning, or creation of value added files like descriptive audio or enhanced second screen activities. Most likely these operations are accomplished and managed in your internal infrastructure and you have built an operation to manage the current throughput for quality and profitability through workflows, dashboards and reports. Focus on the workflows—modern workflow and business process systems allow system administration adjustments without recourse to the vendors—in other words, locate the points in your mapped workflows where “overflow projects” could be diverted to cloud service providers. Analyze the amount of time required by your staff to modify the workflows for external diversion in time, investment and the impact to their current workload. Once you understand the investment required to configure your IT infrastructure as “cloud ready,” it is time to understand the difference between leveraging a service versus capital expenditures. Contact multiple service providers and invest some time in a cloud cost analysis to understand your operation’s decision points. When do you over run your capacity in a particular workflow? Is it a predictable occurrence or is it seasonal? Is it project related? Understand the basics of a “hand off” to the cloud and ask questions about the service provider’s Quality of Service commitments: How long does it take to process your typical materials through a cloud service? Let’s look at the specific example of the transcode and delivery workflows. Your MAM system should provide tools to measure the capacity of the hardware systems attached to its workflows, a method to monitor the daily, weekly and monthly throughput of the operations. In most modern systems this reporting can be automatic and used for dashboards, and it is relatively easy to set triggers to alert your engineering team when the workload is reaching a critical decision point. If this increased workflow is temporary, then the cost of adjusting the workflows and temporary cloud services may be the best way to keep costs down long term. If the ramp up in business is projected to continue, by comparing the cost of additional capital investments versus the cost of implementing additional workflows and cloud services, you are prepared to alert your executive team to the advantages and costs of each approach. With negotiations and as their overall volume grows, the services will become a more cost effective option, and your organization will understand the trigger points that lead to a successful and well timed implementation. Another important aspect of deploying a cloud service solution is understanding when to “turn it off.” Using MAM and workflow reporting and data mining tools, one can build reports to alert management of the cloud as well as the current internal system’s throughput. Once critical levels of workload are controlled and the managed operations decrease to a level sustainable internally, the cloud service can be turned off. Alternatively, active management of the projects can be undertaken to reduce cloud operations on a rolling basis and ultimately turn off the diverted workflow at the proper time to maximize profitability on the overflow projects. 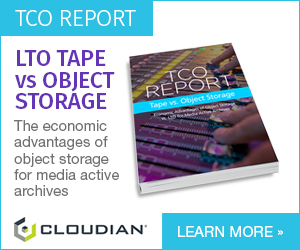 There are other cloud infrastructure advances that can augment your media factory. With a modern MAM-business process system employing browser and HTML5 based user interfaces, it is extremely important to add secure access for temporary workers at remote locations. Consider how you can leverage remote production, event coverage or add temporary editing professionals to your system. Such systems also support the use of tablets as sales support tools for the search and display of media to prospects and clients, and the application of smart phones as management review and authorization tools. Cloud service providers are expanding their services and today it is possible to add language translation services, subtitle services, closed caption services, descriptive video services, audio post-production services, and more. If you are producing content and gathering dailies from geographically dispersed sites, it is possible to leverage cloud storage services for peak periods of incoming media or raw feeds, most of which will be dropped to the cutting room floor at the end of the day. By adapting workflows to use the cloud for these peak periods, you can avoid the capital and operation expense of adding the temporary storage systems. And as the price of bulk storage continues to fall, the cost of saving the raw material that used to end up “on the cutting room floor” becomes more affordable, as long as you have a MAM system prepared to fully manage these cloud storage archives. We can’t avoid the cloud, nor should we want to, and as these services become more prevalent, media executives are going to ask more questions to compare operational costs versus capital costs. To prepare you must ensure your MAM and workflow is “cloud ready”— the best way is to ask about current cloud-based deployments that your vendor supports. Get examples and references. Investigate the hidden costs of deploying and managing a cloud solution. Adaptability of cloud technology to meet our ever-changing needs is the promise of the future, and it is time for the industry to embrace it intelligently and profitably. 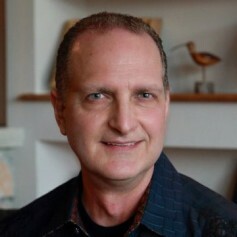 Jay Batista, General Manager, US Operations at Tedial.